I am thrilled to share this recipe with you. Seriously, I’ve been thinking about it for days. 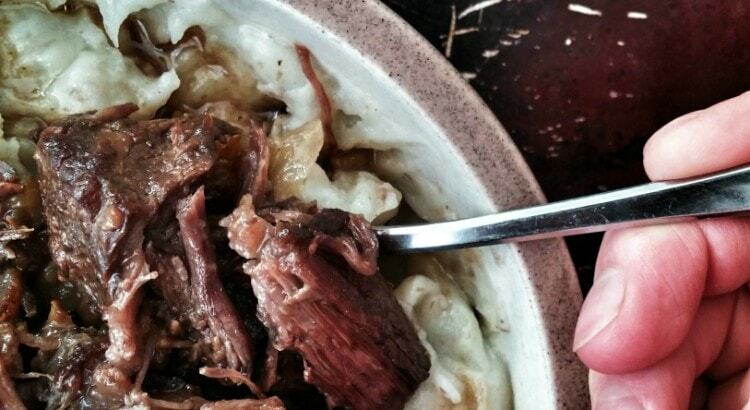 Cider-braised short ribs sound like a dream, right? Spoilers: they are. I’ve been wanting to share more main meal recipes lately, since there’s a sad lack of that on this site right now. In case you didn’t know, I love meat, but that doesn’t really show yet. So I’m on a quest to post recipes for the things I regularly eat instead of just treats and things like that (not to say that I don’t eat the treats…I definitely do). But that isn’t a realistic view of all the nutrient dense meals I normally have. And man, is this one worth sharing. I’m a big fan of apple cider. Growing up, the minute the temperatures outside dipped below freezing (which, in my neck of the woods, is sometimes October), my mom would deliberately set a big stockpot on the stove, fill it with jug after jug of apple cider, add further flavor with spices, and turn the burner on low, just enough so the cider was almost hot, so we kids could come inside from playing in the snow and enjoy a warming cup of cider as our frigid skin melted. The pot would stay on the stove, continually being refilled, until it was getting too warm for that sort of thing – usually when our subzero winter temps started creeping up to the 20s in February or March. Once the kids were all moved out, the tradition got shortened, with a duration of while we were home for the holidays. 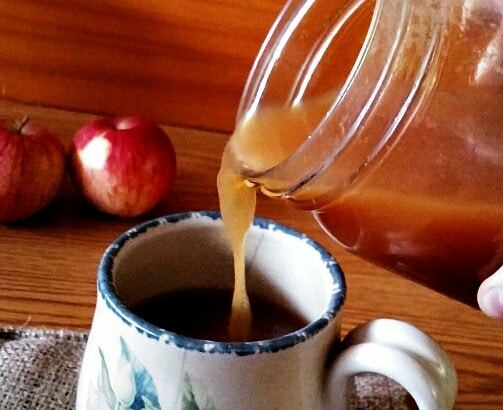 Still, colder temperatures tend to awaken a craving for apple cider. Now that I live on my own and I’ve adopted a real food lifestyle, I wanted a different alternative to the apple cider sold in a jug (made from juice concentrate and additives). With a little bit of research and time in the kitchen, I made an apple cider that definitely satisfies this year’s cravings! 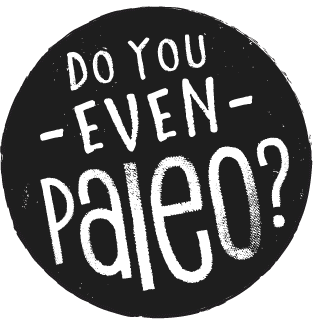 You’re paleo. Hooray! We’re like-minded people, you and I. But not everyone thinks the way we do. No doubt you’ve been subject to a host of frustrating questions and reactions when your non-paleo friends and acquaintances find out how you eat. I’ve been there. I’ve definitely been there. 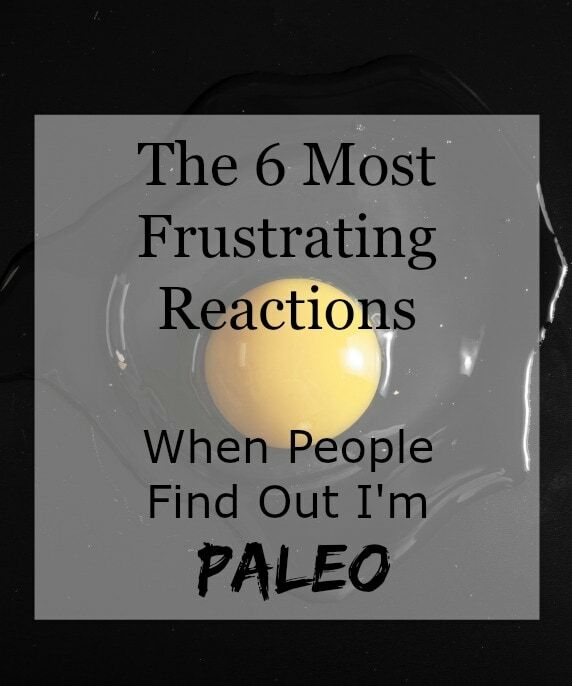 So, in a half-lighthearted, half-ranty way, I decided to compile the 6 most frustrating reactions when people find out I’m paleo. 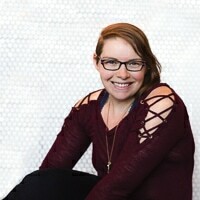 It’s worth noting, I guess, that I never introduce myself to someone as “Hi, I’m Chelsea and I eat paleo.” Usually, people find out down the road when we go out to eat or when the subject of food naturally comes up in conversation. You see, I’m not a big fan of labels. Most of these responses are due to misconceptions that people have attached to a label. Obviously not everyone reacts this way, but these have happened often enough that I’ve gotten frustrated. And I don’t even talk to that many people. Sometimes I really just want chocolate. I mean, who doesn’t? People that don’t like chocolate, I guess. But those people are kind of weird and you should be a little suspicious of them. The problem with chocolate, though, is that on its own it’s not super great for you or very filling. I’m not really one of those “oh, I’ll only have one bite of this dark chocolate bar and I’m good” kind of people. I’m not really a “I can’t help myself and I’m going to stuff my face with chocolate” person, either. Perhaps I just like experimenting too much, so I just throw cacao powder at things hoping it tastes good. 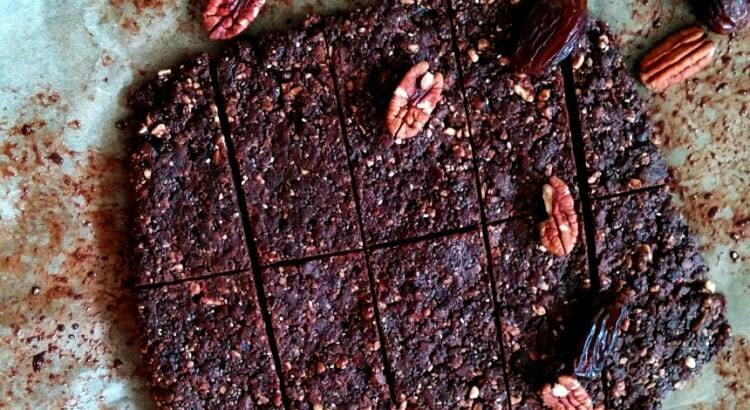 Well, whatever the reason, I came up with these Spiced Chocolate Chia Energy Bars, and they were chocolatey and delicious enough to share with all of you! I’ve never really been one for making resolutions with the new year. There’s a huge stereotype out there that people make resolutions and never follow through. I mean, we’ve all heard that. Many of us have probably made resolutions and not stuck to them at all. Hey, we’re human (I hope). Plus, too many humans use January 1st as an excuse for continuing bad habits now. For example…how many people thought in December, “Well, my 2015 resolution is to lose weight, but until then I’m going to stuff my face with pizza and beer!”. To me, that’s kind of setting yourself up for failure. Why wait? If you really want to commit to something, you’ll start tomorrow. Or today. Okay, maybe the above paragraphs weren’t the best way to start off a post about positive new year resolutions. Lucky for me, this is my blog and I do what I want.